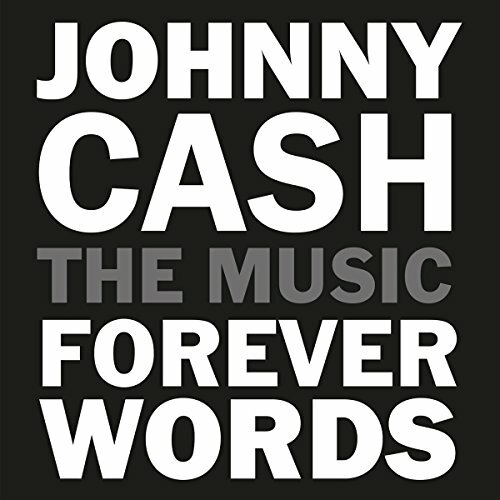 Forever Words, produced by John Carter Cash and Steve Berkowitz, is a collection of songs whose lyrics are compiled from Johnny Cash’s recently-discovered poems and writings. 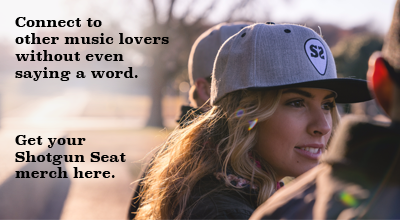 Every track was recorded at the Cash Cabin Studio in Hendersonville, Tennessee. On the surface, it may appear to be a superfluous tribute album in the canon of accolades and re-imaginings that have spun from Cash’s songs. However, this project rises above the noise as an arresting and meaningful celebration of Cash’s timeless words. Brad Paisley delivers a sincere message of admiration and love with the stunning “Gold All Over the Ground” (“We’d sit beneath strong branches / My arms would twine around / I’d turn your green to emerald / And give you gold all over the ground“), followed by Chris Cornell’s “You Never Knew My Mind.” Cornell’s distinct vocals are all the more haunting when appreciated posthumously, thus adding to the gravity of the lyrics. The star-studded list of artists continues, with Alison Krauss’ ethereal voice breathing life into Cash’s thoughts and words on “The Captain’s Daughter.” Sonically, the most surprising moment comes following the eerie (and flawless) “Chinky Pin Hill” by I’m With Her, a trio that comprises Sarah Watkins, Sarah Jarosz, and Aoife O’Donovan. “Chinky Pin,” with its plodding banjo and otherworldly harmonies, feels plucked straight from the O Brother Where Art Thou soundtrack. Next up? “Gone, Gone, Gone,” an electro-tinged neo-soul track from Robert Glasper, Ro James and Anu Sun. The transition is undeniably jarring, but the genre switch speaks volumes to the truly universal nature of Cash’s work. Other standouts include Jewel’s sultry “Body on Body” and the bluegrass-gospel track “He Bore It All” from Dailey & Vincent, whose finger-picking and harmonies add much-needed levity to the album as a whole. Of course, celebrated Americana stalwarts T Bone Burnett, John Mellencamp and Jamey Johnson offer noteworthy contributions, as do Cash’s daughter Rosanne and June’s daughter Carlene. The compilation offers varying genres, perspectives, and emotions, all while effectively balancing Cash’s presence with those of the individual artists. The intimacy is almost tangible, as the listener is encouraged to dive into his personal diary rather than simply sneaking a hurried peek. It’s a well-curated tribute that looks forward rather than to the past, and manages to stand on its own as a refreshing and cohesive album.